This example of the Life-Like GP-38-2 has been seen in a Tropicana train set offering. Notice the 1986-1996 anniversary date on the long hood. 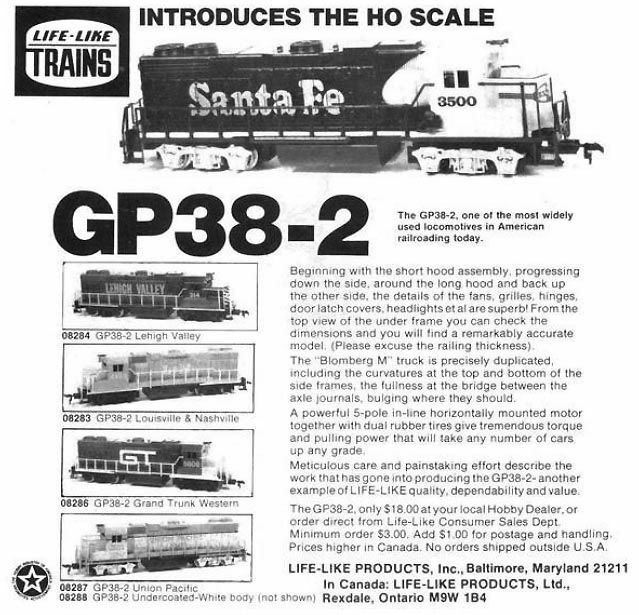 The Life-Like 1982 product catalog features a number of new roadnames for the GP38-2 model. 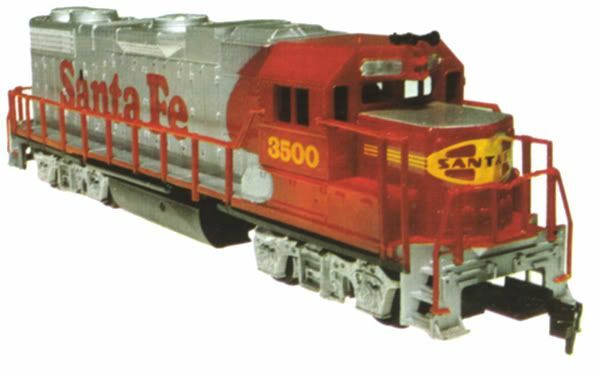 The Family Lines example, along with Chessie System; Burlington Northern; Delaware & Hudson; and red-and-silver warbonnet Santa Fe are all new releases for '82. 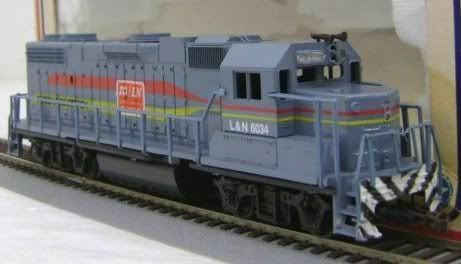 This is the first Life-Like ICG decorated GP-38-2 and carries the name "Casey Jones" as did the prototype on its cab. 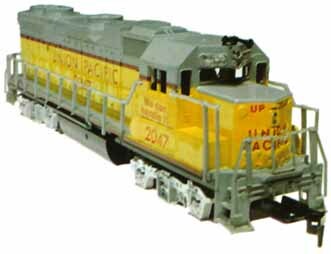 Life-Like would offer another standard line GP-38-2 painted for the ICG just before the Walthers purchase of the company. This second ICG GP-38-2 features a reversed white circle with black railhead logo on its nose, rather than the more typical ICG logo of a black circle with white railhead. This original example also differs from the later version with its yellow handrails. 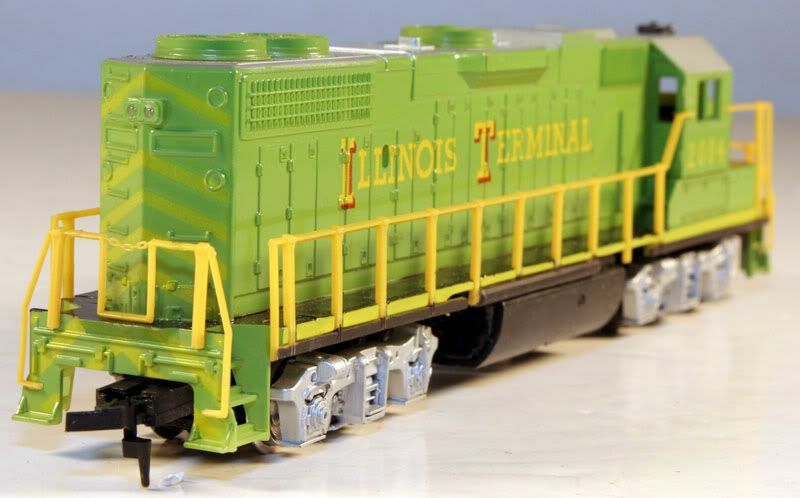 This ICG model is added to the Life-Like line in 1977. 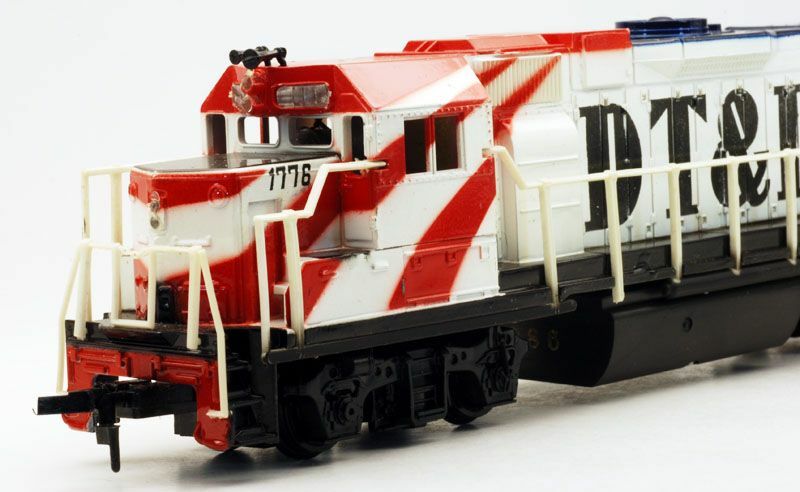 A non-powered ICG GP38-2 was available in Life-Like's line and was stock number 08275. For 1978, Life-Like adds five new roadnames to its GP38-2 roster and this Illinois Terminal example was among them. The other new names for the GP38-2 in '78 included: P&LE, GM&O, TP&W, and The Rock. 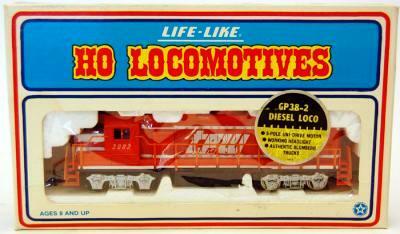 Life-Like introduces its GP38-2 in the 1975 catalog with a protoype photo of Lehigh Valley #320. 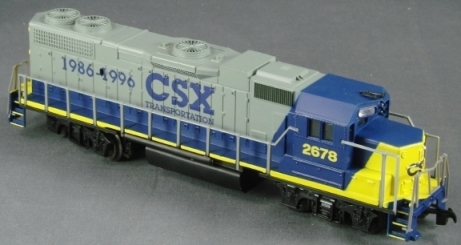 The original Life-Like roadnames for its GP38-2 in HO-scale were Lehigh Valley; Louisville & Nashville; and the blue and yellow warbonnet dressed Santa Fe. 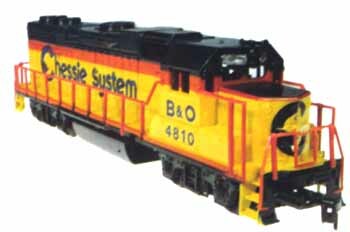 The black and yellow P&LE GP38-2 is added to the Life-Like line in 1978. A prototype image is provided in the catalog that year. 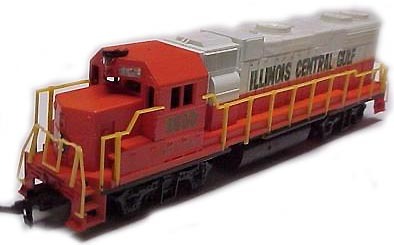 A prototype picture is featured in Life-Like's 1978 catalog for the first appearance of the Rock Island GP38-2. The model featured the road's then new blue and white The Rock scheme. 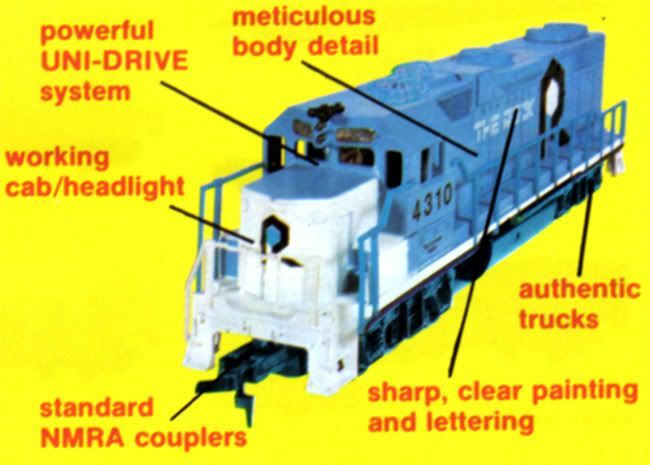 Rock Island did include names on its 4300-series GP38-2 diesels and this Life-Like model features the name, "The American Railfan" and correctly applied to roadnumber 4310. Joining Life-Like's GP38-2 offerings for 1978 was the TP&W example. A prototype picture is provided in the 1978 Life-Like catalog for this model. The catalog also mistakenly refers to this item as Texas, Pacific & Western. Life-Like's HO-scale GP38-2 diesel arrives in 1976. A review of this model is found in the July '76 edition of Railroad Model Craftsman magazine. 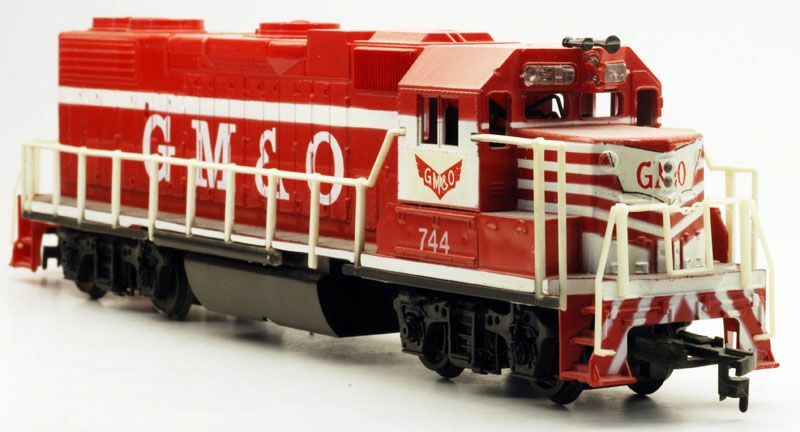 The RMC review knocks the thick handrails, but does credit the Life-Like GP38-2 with having generally accurate dimensions. 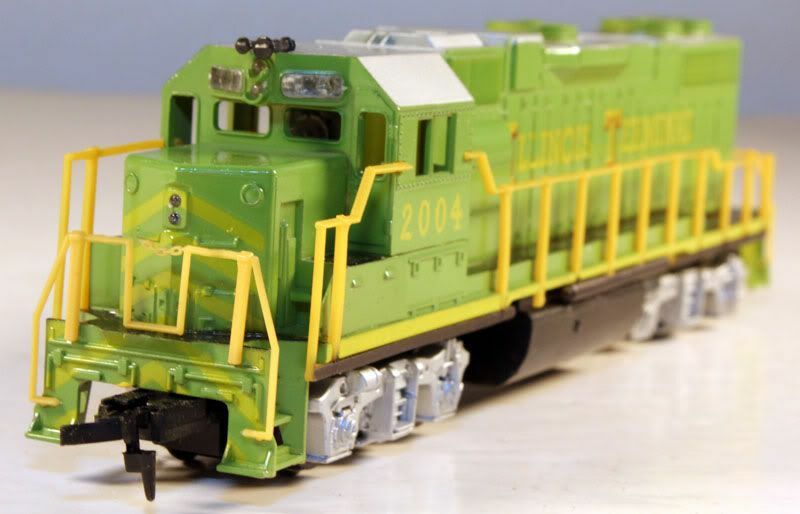 This model is given credit as offering the first HO-scale examples of the EMD Blomberg M truck and a "Dash 2" bodystyle in plastic. The RMC review notes roadnames offered included Grand Trunk Western, Lehigh Valley, and Union Pacific with a retail price of $16 in 1976. The model is presented by Life-Like in its 1975 catalog. 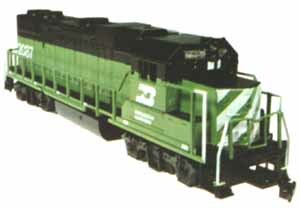 That first year, a prototype picture of a Lehigh Valley geep substitutes for the Life-Like GP38-2 model.